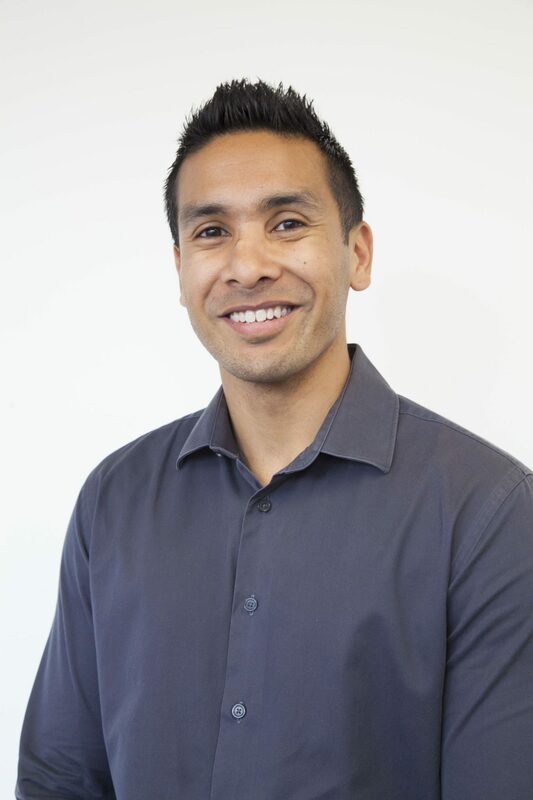 Actura is pleased to announce Actura New Zealand Limited has been established in Auckland to provide the leading STEAM learning solutions both in-class and out-of-class to New Zealand markets. 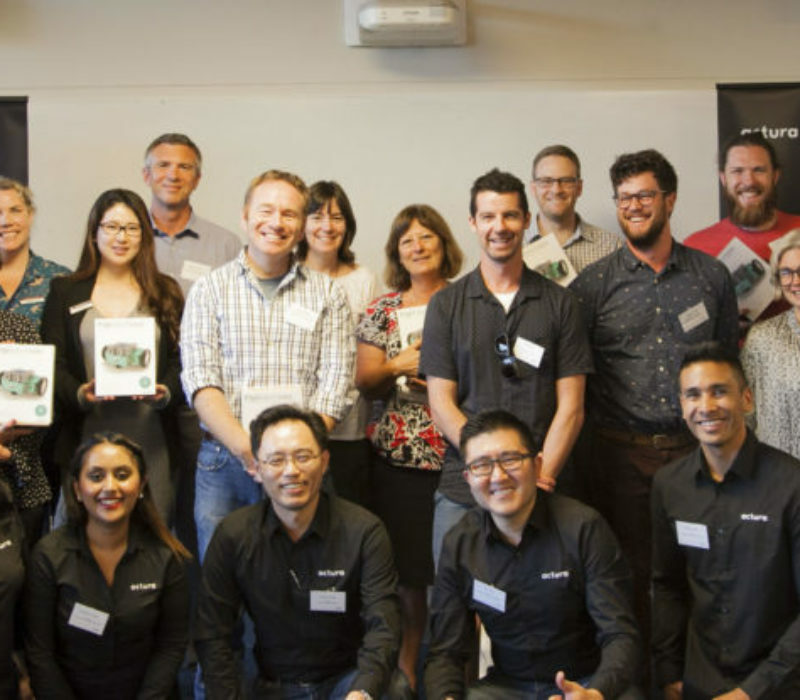 With the growing success in the Australian and Asia markets, Actura is now ready to empower youth of New Zealand to master their STEAM related skills set for their future success. 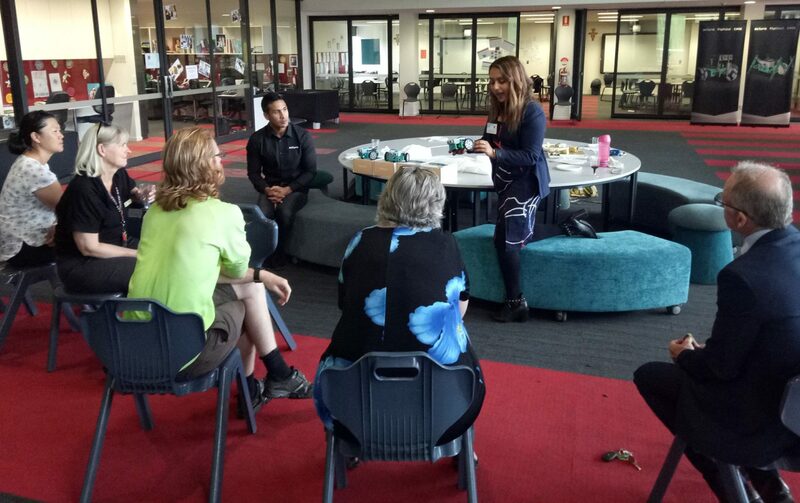 The team in New Zealand comprises of Meetal Gandhi, Country Manager and Tegan Morell, Business Development Manager who are looking forward to networking with the schools to market and promote the Space School International Study Program and FlipRobot STEAM learning solution. 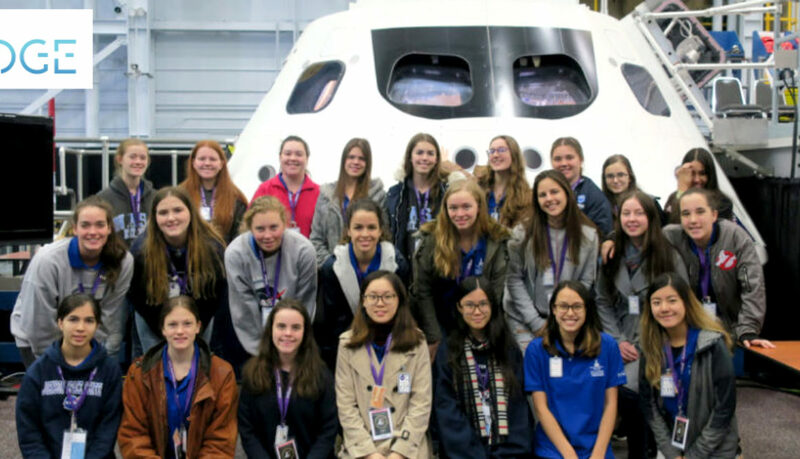 Actura in collaboration with partners the Alliance of Girls Schools Australasia and the Australian Boarding Schools Association (ABSA) will be launching dedicated combined Space School Expeditions with their respective member schools in 2018. 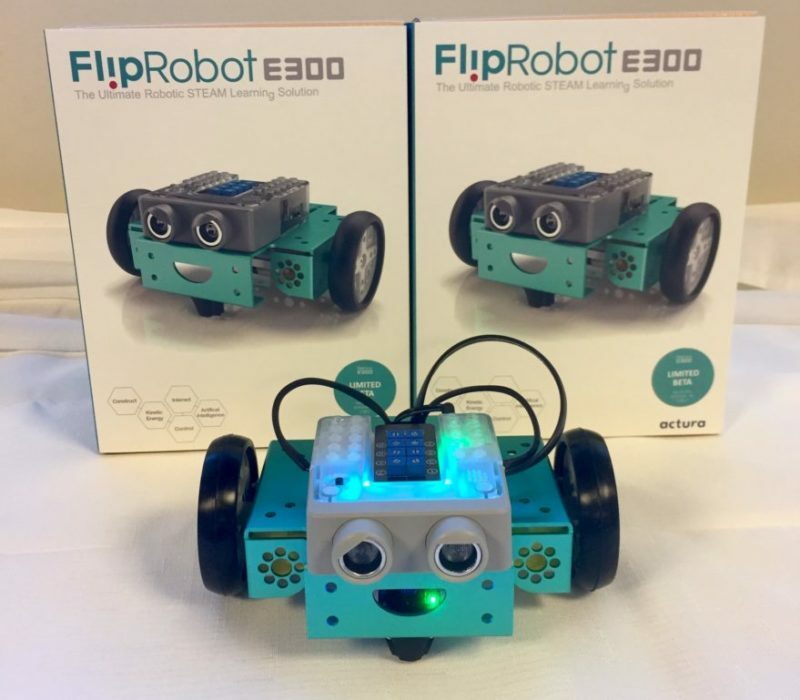 Coding and robotic learning: fad or future? Our world is changing more rapidly, and the influence of technology is infiltrating every aspect of our lives. The statistics that surround robotic learning speaks volumes. 60 percent of new jobs require skills held by 20 percent of the workforce. In addition, 40 percent of Australian jobs are at risk of being automated in the next 10-15 years. 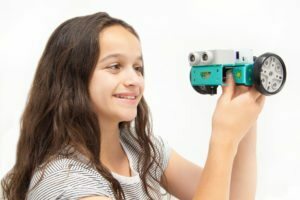 Queensland is the first state in Australia to make robotics and coding compulsory across classrooms. Countries like China have also recognized the importance of STEM. By 2020, Chinese schools will spend more than 10 billion yuan ($1.5 billion) on STEM-related courses, according to consultancy. The trend is also being encouraged by the Chinese government. The Chinese government is seeking to nurture more talent in fields such as technology with the country’s Ministry of Education making it mandatory for all elementary students to study STEM. 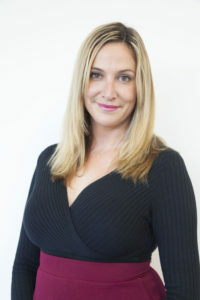 Further, Daniela Rus, Professor of Electrical Engineering of Massachusetts Institute of Technology states that: “In ten or 15 years, robots will be as commonplace as smartphones”. Robotics unlike popular belief is not a fad but is a must have for a world that is moving towards automation and artificial intelligence. The benefits of coding and robotic learning are clear, it teaches students how to communicate across different technology platforms, can create leaders and be the launching pad for students to realize their passions and promotes innovation and entrepreneurialism. The five key areas of robotic learning and coding are: construct (build the robot), control (sensors), interact (coding), kinetic energy (motor and batteries) and artificial intelligence (coding). These five areas of robotic learning promote problem based learning, critical thinking skills, curiosity, creativity and experiential learning. Computational thinking is one of the greatest skills students gain from coding and robotic learning. Computational thinking is the ability to communicate your thoughts in a structured and logical way. Coding and robotics facilitates this type of thought process where students use step by step instructions to code their robot. 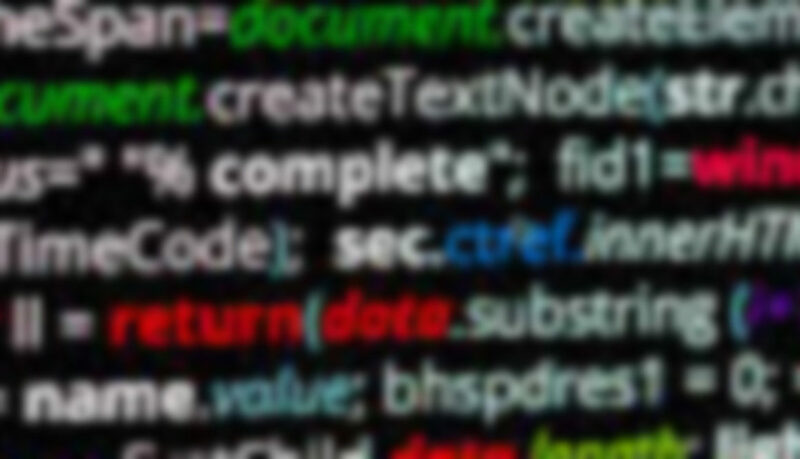 Computational thinking is the process of solving problems in a logical and methodical way and this is the basis of coding. Further, computational thinking does not only benefit computer programmers or software engineers but can be of benefit to any career path that has problem solving components. Robotic learning also encourages design thinking and facilitates students to use creative processes, collaboration and problem solving to design meaningful solutions to problems. Using coding and robotic learning, students are required to question the problem, adjust their approach and try various strategies to reach their desired solution. The overall concept of design thinking is that it empowers students to exert creative design solutions to real life problems. Coding and robotic learning also endorses creativity and fluidity. Coding requires students to think “outside the box” and think of creative solutions to problems. Students learn that there are endless ways to code their robot to solve problems. Coding also facilitates a type of story-telling where students are asked to code a logical beginning, body and ending to their coding similar to a story. Coding also promotes fluidity as there are multiple ways to reach the desire outcome and not one prescribed path. Ultimately, coding and robotic learning is not a buzz word, a fad or a trend. Instead, it can be argued as a vital new age literacy skill that is essential for every student’s future. It was with great delight that Actura hosted the CASE Advisory School launch event for the first time globally in October. 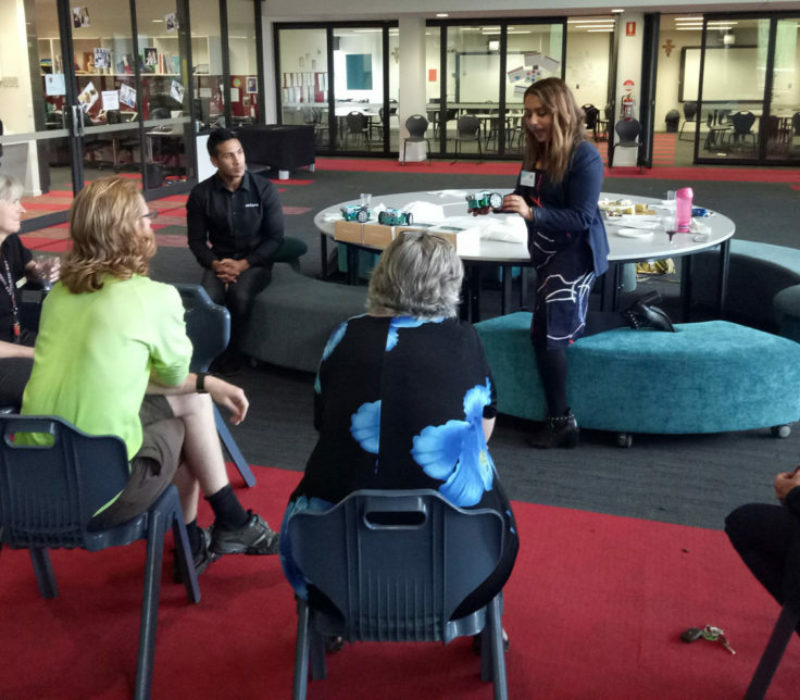 The CASE Advisory School is a cohort of 30 schools across Australia that will participate in a trial, to test and evaluate the effectiveness of the CASE Curriculum and FlipRobot learning kit and provide valuable meaningful feedback. 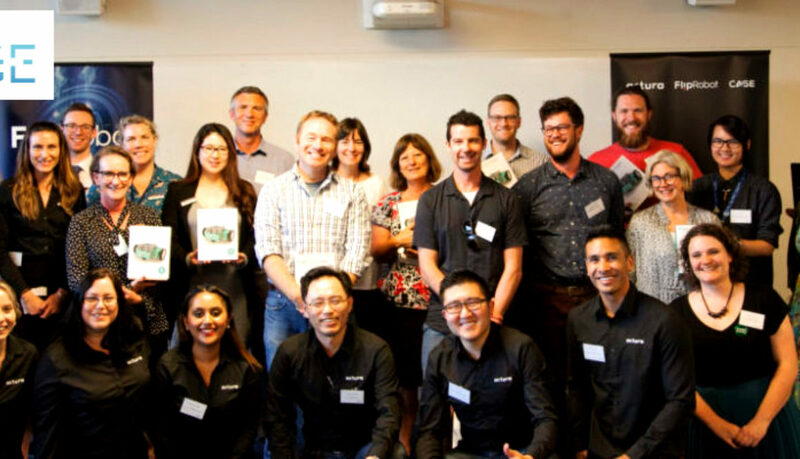 The CASE Advisory School launch events were held in Sydney, Canberra and Melbourne and over 50 experienced STEM teachers attended from across Australia. 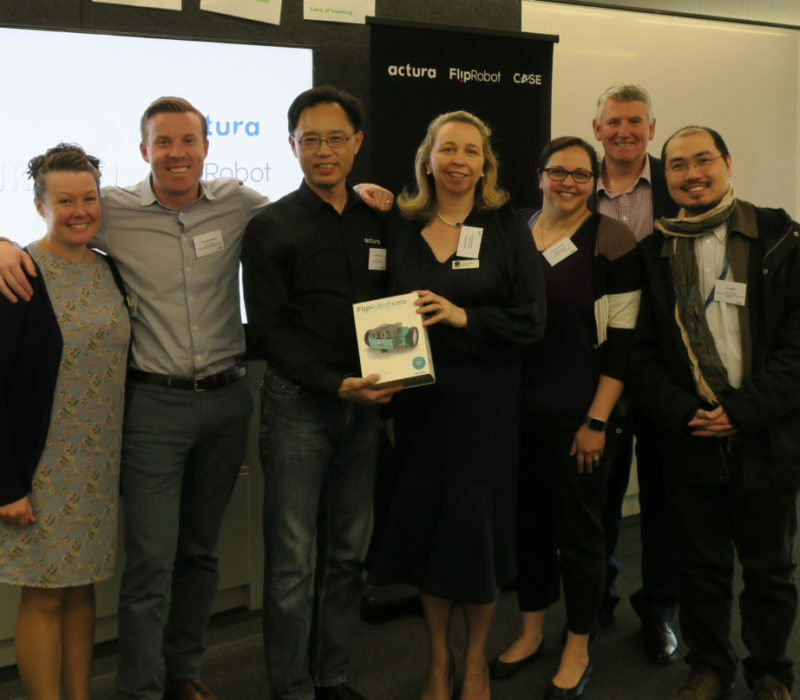 The proceedings included an informal networking opportunity, an address from Actura’s CEO Charles Chung, an address from keynote speaker Nicola Curnow from Code Club and the grand unveiling of the FlipRobot E300 kit. The CASE Advisory School launch events allowed teachers to network with other leading STEM teachers, receive their E300 FlipRobot kit and learn the functions of the cloud based solution FlipCloud. 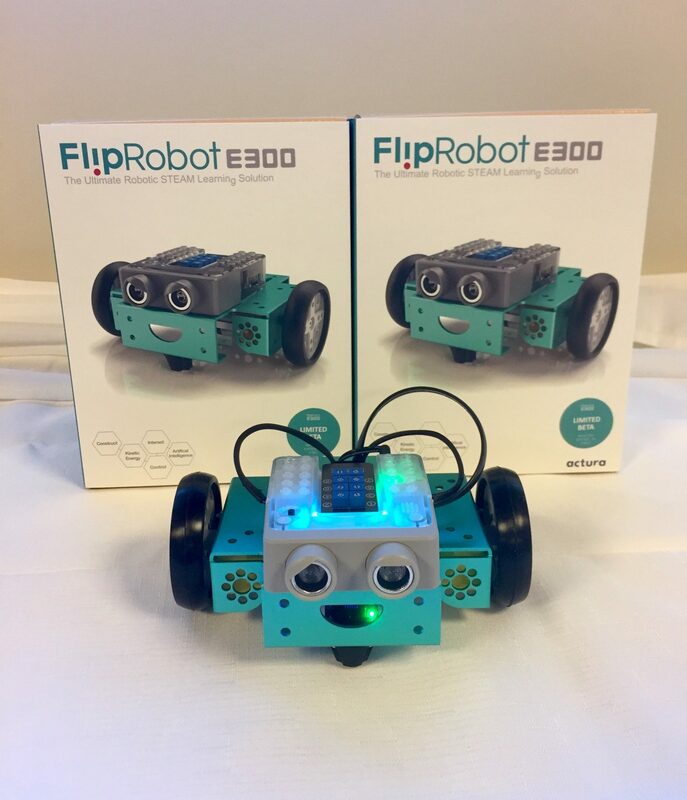 Teachers were extremely enthused to receive their FlipRobot E300 and the reception was exceptional. Claire Loh from International Grammar school in Sydney stated excitedly: “I can’t tell you how excited I am for this, this is exactly what we need and now it’s really in our hands!” The key advantages of the FlipRobot product compared to other offerings is the firmware, FlipEyes (personalised expressions), chassis design, variable control board and affordability. These 25 schools that attended the CASE Advisory School launch are the first schools globally to test the FlipRobot with the CASE Curriculum. These schools are 25 of the most renowned and leading STEM schools in Australia. 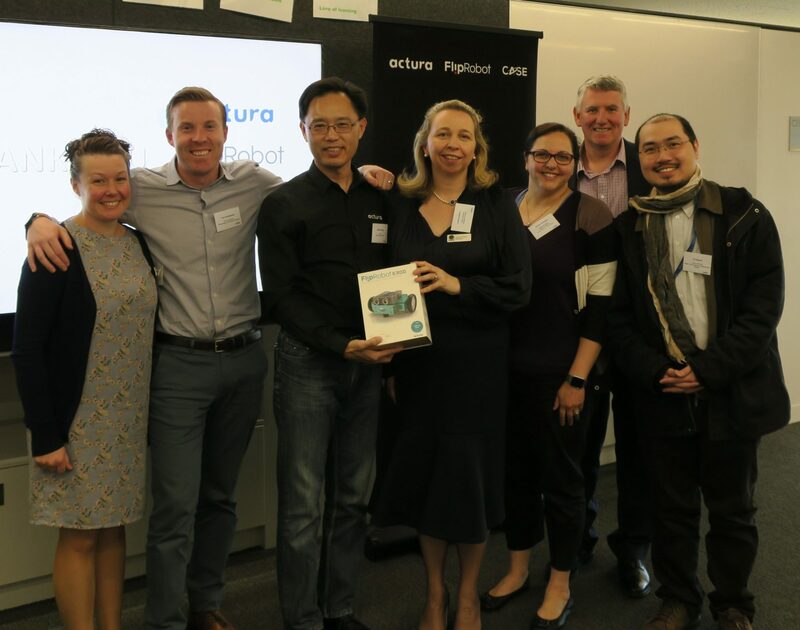 Actura has recognised that we cannot work independently in the development of FlipRobot and the CASE Curriculum and will be working in collaboration with schools to create the strongest and most relevant curriculum for Australian schools. The Advisory board will now review the curriculum and hardware over the next 12 months, providing meaningful feedback to the Actura education team via the Yammer platform. Ultimately, the CASE Advisory School launch event was a phenomenal success with all attendees leaving with great inspiration and excitement. In the coming weeks we will have launched across Australia, with launches in Canberra and Melbourne completed successfully. 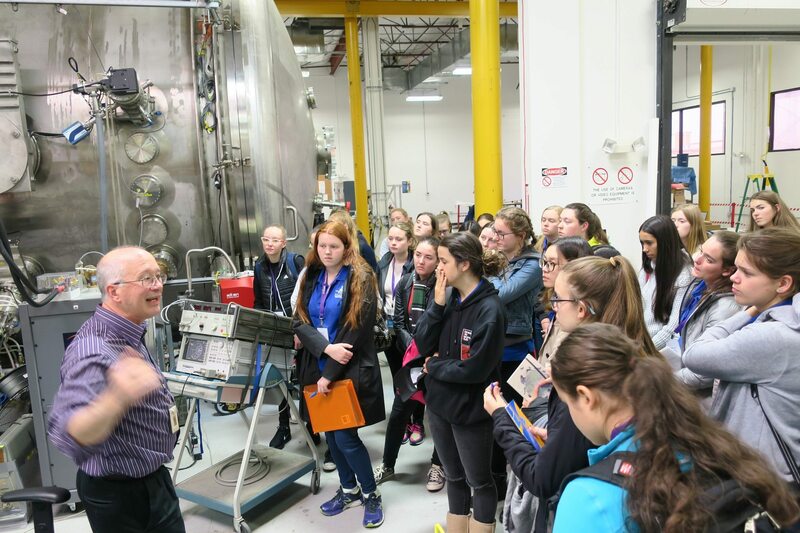 Participants in Senior Space School this December are fortunate to be visiting one of the world’s leading spaceflight technology companies, Ad Astra Rocket Company. 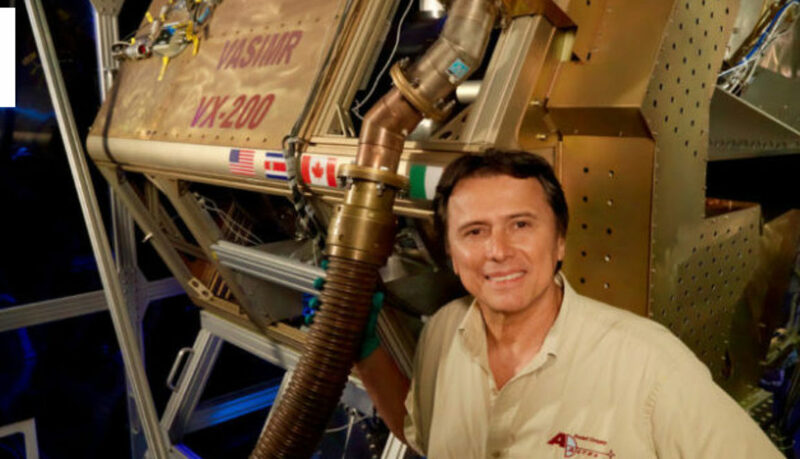 Ad Astra, founded by physicist and former NASA Astronaut Dr Franklin Chang Diaz, is at the forefront of rocket research and development with its Viable Specific Impulse Magnetoplasma Rocket (VASIMR®) engine. Dr Diaz invented the VASIMR® concept and has been working on its development since 1979. The most common current form of rocket propulsion is chemical propulsion which uses a highly explosive chemical reaction inside the rocket to force fuel mass downward and the rocket upward. Plasma rocket propulsion is a form of electric propulsion. Existing electric rockets use electrical power to accelerate propellant out the back of the engine. While standard electric propulsion has far greater propellant exhaust speed and therefore better efficiency than chemical propulsion, it can only be used in space due to its lower level of thrust. In other words it can’t be used to launch a rocket from Earth. 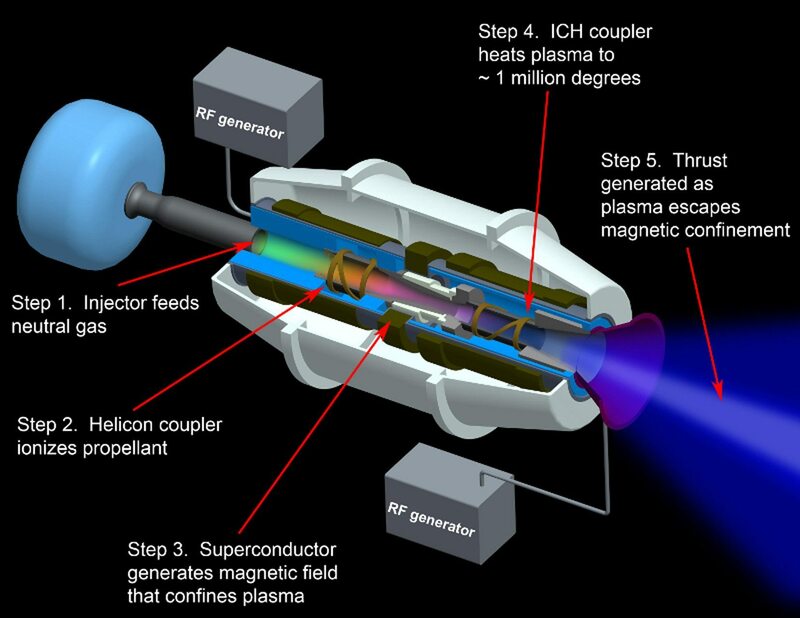 There are several variations of plasma propulsion, but generally, plasma propulsion technology works on the basis of some kind of force acting on plasma to generate thrust. Ad Astra’s VASIMR® engine employs plasma technology in a new way that can generate a larger amount of thrust but can also more widely vary its thrust, making it useful in a variety of applications in space and between Earth and space. The VASIMR® engine uses radio waves to ionize and heat a gas – such as argon, xenon, or hydrogen – to result in superheated plasma. Magnetic fields then accelerate the plasma, converting the ions’ orbital motion into linear momentum in ion speeds around 180,000km/hr, thereby generating thrust. A projected 200 megawatt VASIMR® engine has the potential to cut travel time from Earth to Mars from 8 months down to 39 days. Watch here Dr Franklin Chang Diaz at the International Space Development Conference discuss the VASIMR® engine. On 17th August this year, a dramatic event occurred in deep space that has had the astronomers and astrophysicists of the world stuck to their telescopes in awestruck delight. On that date, for only the fifth time in history, two purpose built observatories enabled scientists to hear the sound of gravitational wave bursts. A team of astronomers and astrophysicists had been listening for that sound for many months when it finally happened – a tiny bleep to their ears that could unlock many secrets of the universe. Previously, these wave bursts had been tracked back to the collision of black holes. But this time, researchers suspected – and hoped – for something different. Approximately two seconds after the American LIGO detectors picked up the gravitational wave bursts, the FERMI telescope in Italy detected a gamma ray burst. Then 11 hours later, the Swope telescope in Chile first detected light from the collision. Astronomers around the world trained their telescopes on the corresponding area of the sky, including Australian astrophysics teams who were amongst the first people in the world to see the 6,000oC fireball of light. This enabled them to track the source of the gravitational wave bursts in space to the dramatic collision of two neutron stars for the first time ever. This rare event took place 130 million light years away and detecting it has been the goal of the LIGO Scientific Collaboration – a project involving thousands of astronomers around the world with the help of the LIGO and Virgo observatories. David Reitze, Executive Director of LIGO, called this event “the most spectacular fireworks in the universe”. 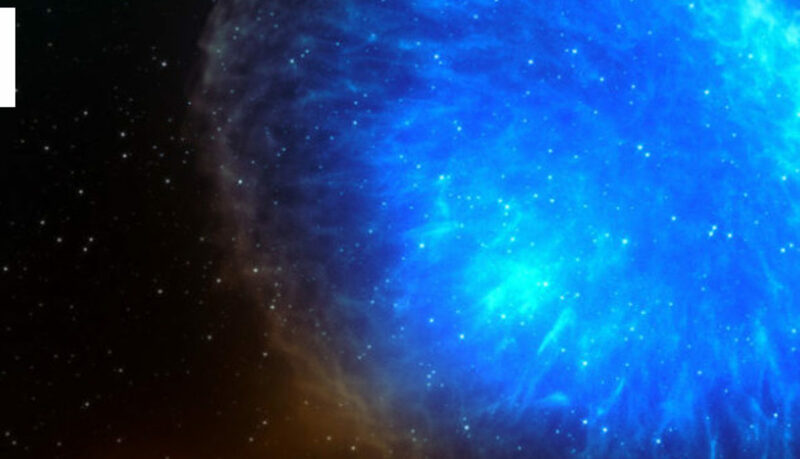 Very little is known about neutron stars. They are the smallest and densest stars in the universe that are essentially the heavy core left behind after the explosion of a supernova. The two that collided in August were each about the size of the city of Adelaide and about half the mass of the sun. In other words, about one quintillion kilograms each! 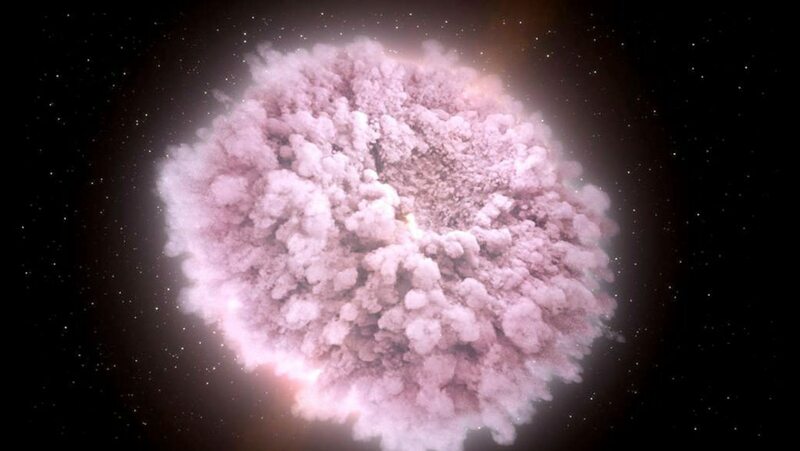 Scientists are excited because with the vision of the collision, they will be able to find out much more about the nature of neutron stars. Einstein first predicted the existence of gravitational waves back in 1916 as part of his General Theory of Relativity. They are vibrations of space and time, like ripples in the universe that you can think of as ‘spacequakes’. Using triangulation, with the LIGO and Virgo observatories focussed on one part of the sky, scientists were finally able to first detect gravitational waves in 2015 – something that Einstein thought would never be possible. 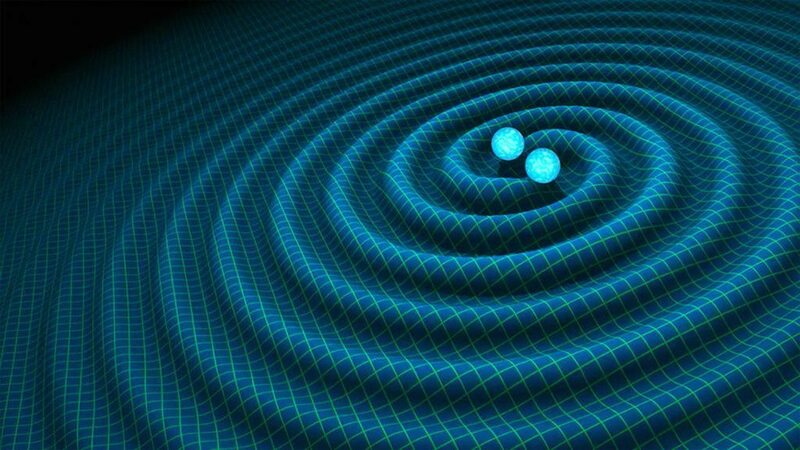 It’s almost unbelievable that the gravitational waves were detected. Not only did they travel for 1.3 billion years to reach us, but they were so tiny by the time they got here that they only moved the LIGO’s mirrors by about one thousandth of the diameter of a proton. Why is this an important discovery? For the first time, astronomers could see events in the universe and as they usually do, but also feel or hear it them through the gravitational waves. 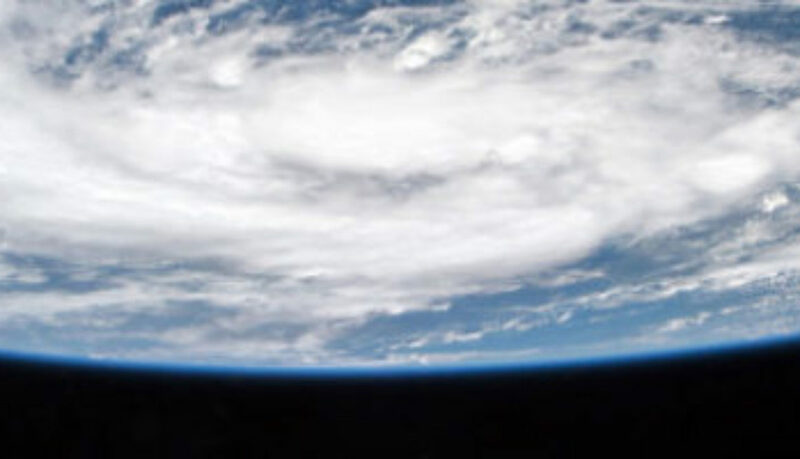 This has only been possible through global collaboration with teams working in multiple observatories including the LIGO and VIRGO gravitational wave observatories. It was the nuetron neutron star collision’s unique combination of gravitational waves, gamma rays, electromagnetic waves, radio waves and light detected by multiple observatories that brought the global astronomical community together to monitor this event. The discovery has many other ramifications. First, it confirms Einstein’s theories concerning the speed of light. Einstein postulated that the speed of light and the speed of gravity would be the same. According to Professor David Blair from the University of WA, the observations show that gravitational waves and gamma rays travel at the same speed, which he says vindicates Einstein’s theories. 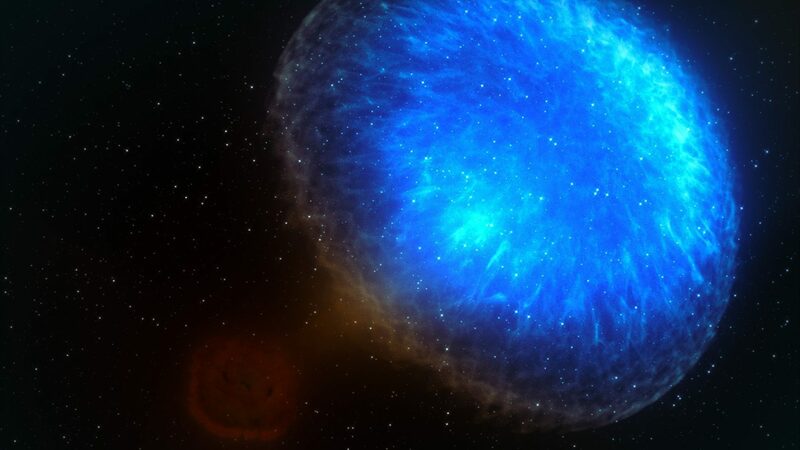 Second, it confirms that neutron star collisions are the source of gamma ray bursts – which was previously a mystery. Gamma ray bursts are rapid bursts of light energy that scientists only speculated were caused by neutron star collisions. Third, it provides a more accurate estimate as to the size of the universe. That’s because researchers know in which galaxy the neutron star collision took place, and the gravitational waves from that collision produced a characteristic sound that tells them how far away the source of the sound (the collision) was. This is a much more definitive measure than physicists have ever had. Finally, it appears that this massive explosion produced rare heavy elements, including gold. Professor Susan Scott, from the Australian National University, explained that analysis of the light from the explosion indicates the presence of precious metals such as gold, platinum and uranium. 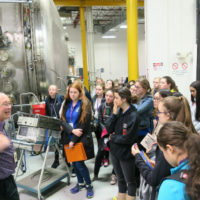 While at Space School, students have the opportunity to hear speeches by a range of scientists and then to ask questions. 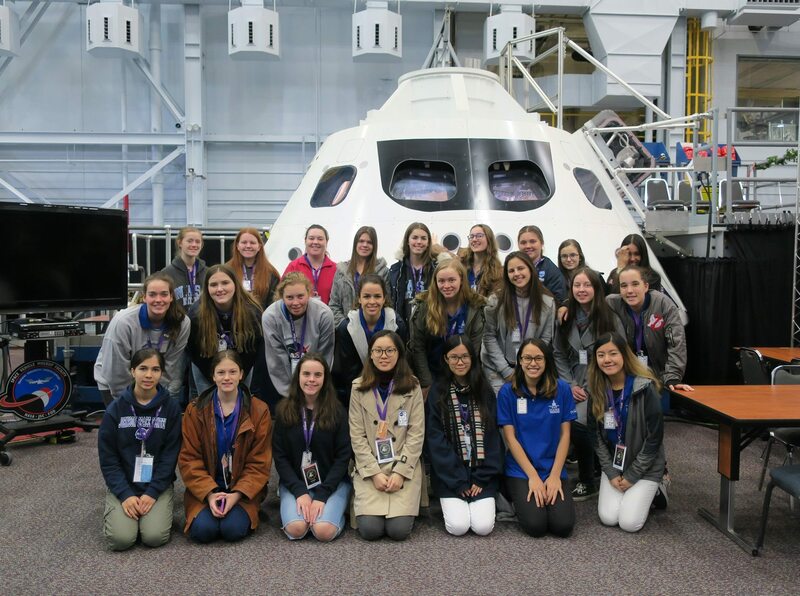 If you are lucky enough to go to Space School and are lucky enough to have an astronomer or astrophysicist as a guest speaker, we hope this article has given you lots of questions to ask them! The universe has many secrets and it’s thrilling when a discovery can begin to answer some of them. But there are so many more questions remaining to be answered. Will you be the one to make one of these incredible discoveries? We love this quote by Kate Torgovnick May (Sept 1, 2016; ideas.ted.com). Although it was originally intended to describe the process of innovation and securing patents, it is so perfectly suited to the opportunity that awaits our students. They will hear stories from inspiring people, leaders in their fields of business and research, leaders in the Space Industry. By listening with courage, they can project forward, imagine their lives, and set their own big life goals. To be inspired on location by fascinating people is just one of the adventures that await our next group of students heading on Expedition in December. 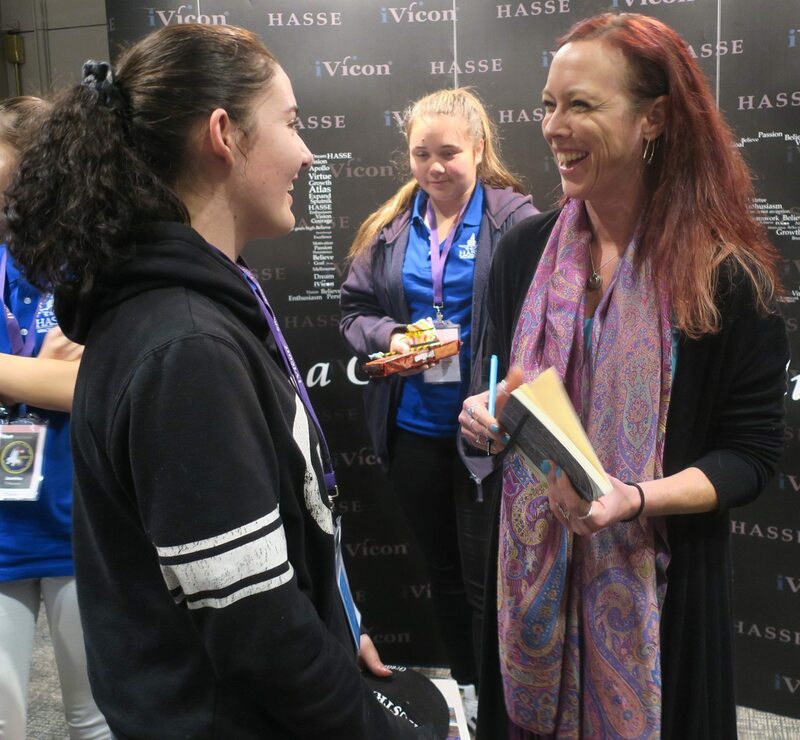 Actura Australia has shared Space School with hundreds of Australian students over the past three years and we are now primed and ready for the next adventure. 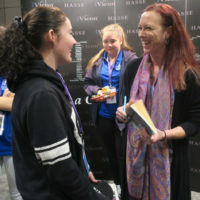 With lift off early December there will be over 400 fabulous young Aussies heading to the US for the trip of a lifetime. As our expeditions grow we maintain the same small group focus, with the students’ personal experience top of mind at all times. 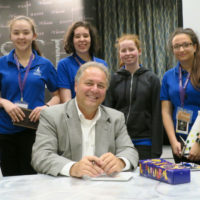 Scheduling behind the scenes is complex, allowing our future STEM-skilled leaders to move through the activities seamlessly, with enthusiasm and a thirst for knowledge that is truly infectious. Our Preparation events are underway so that all students can meet their Group Managers and fellow team members before we depart. 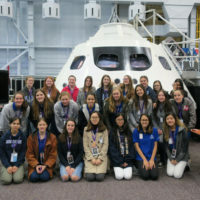 This is the crew they will be sharing their adventure with, and experience shows us that many life lifelong friendships and valuable networks will develop. It is wonderful to see that our many accompanying teachers and Group Mangers are just as excited! We will be watching our students grow in confidence with science, engineering, collaboration and creativity.